Twenty-nine RFAA artists submitted fifty-eight paintings to our beautiful Azaleas and Friends Show. 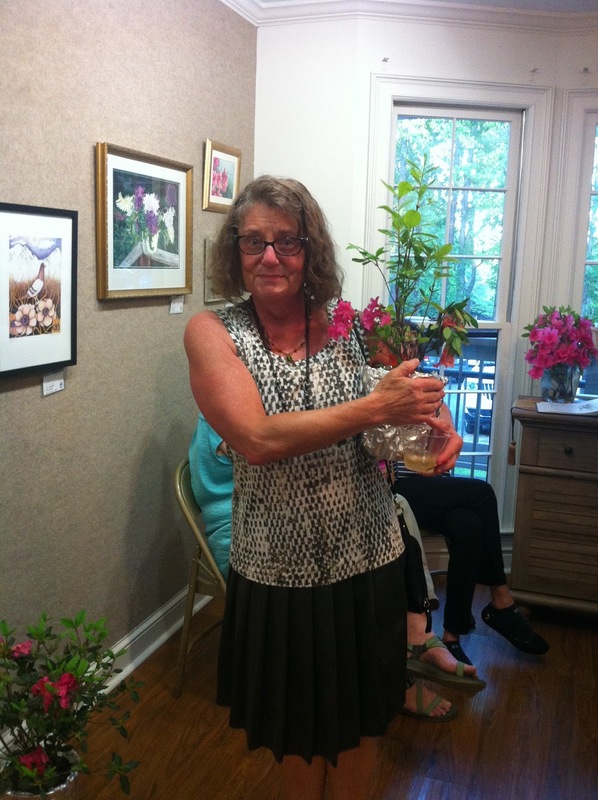 As part of the Roswell Azalea Festival artists created wonderful variations on azaleas and other types of flowers as well. 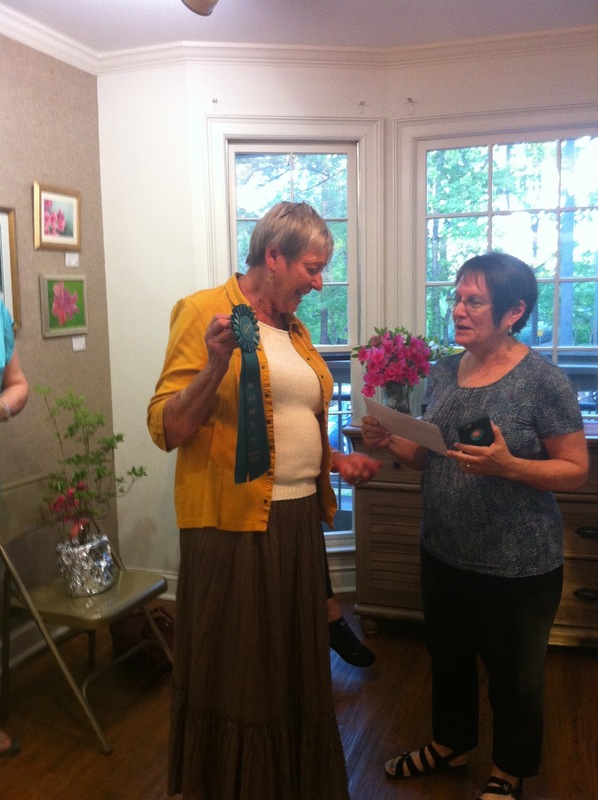 At the reception, attendees voted for the best representation of azaleas and Barbara Heath took home the ribbon and the prize. 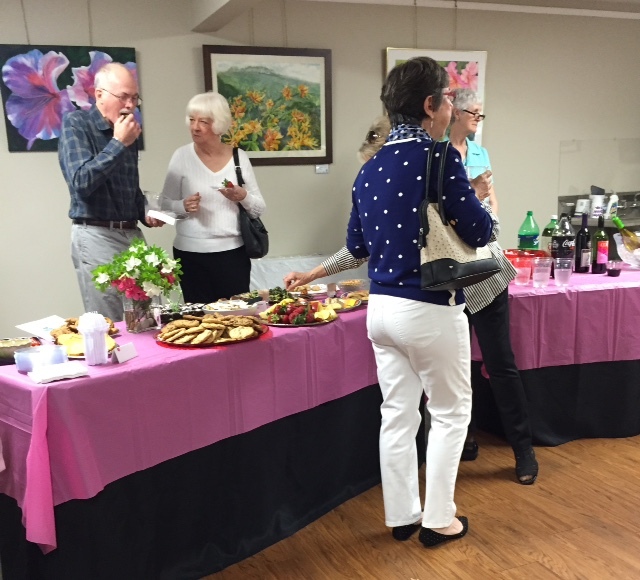 Everyone thoroughly enjoyed all the wonderful food and wine provided by various members. One painting sold before the show even opened and we look forward to having lots of visitors admire the show before it closes on June 15th. The Gallery at 9100 Fouts Road, Roswell, 30076 is open to visitors on Fridays from 10 - 1 and on Saturdays from 10 - 4. Seven guests took home lovely live azaleas as door prizes, including Bonnie Watson (below left). Beautiful Show! Send your friends to the ACE Gallery on Friday to get that perfect one-of-a-kind Mother's Day gift!